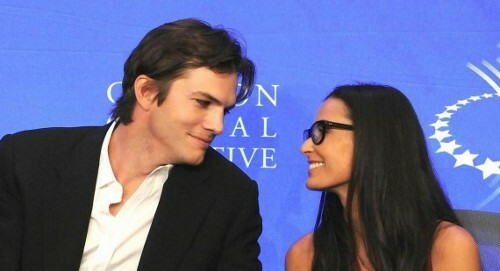 Demi Moore and Ashton Kutcher are supposed to be broken up . . . but in the lands of glitz and glamour very rarely do things stay finished for good. According to sources, Demi and Ashton have met up at least twice in the past month to discuss their future together. Last week the pair was spotted together at the birthday party of Rabbi Yehuda Berg, the man who officiated their wedding. Guess what? This wasn’t the first time they’ve been seen together. How many of you think Ashton and Demi’s relationship still has a chance? How many of you think their time is up? Let us know!